The archaeologist Nicole Pascal is investigating the secrets and esoteric beliefs of the leaders of Nazi Germany. A pen given to her by her boyfriend, JeanMassard, will set off a chain of events that leads the couple to a manuscript written by a prominent Nazi SS leader: HansHeins. In it, the author tells his life story and provides an account of his relationships with the Nazi top brass. A protégé of Himmler’s, he was inducted into the world of magical beliefs and Aryan philosophy that governed most of the thinking of the rulers of Germany at the time. Nicole and Jean find out the truth about the Sacred Lance (whoever possessed it would supposedly control the fate of the world), the death of Himmler and the enigmaticWewelsburgCastle, facts that will certainly change the way we think about the events of those years, not to mention the course of History. What if history were really very different to the version we’re familiar with? 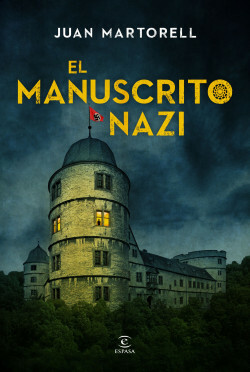 A classic plot: Nazis, spies, the discovery of a lost manuscript and a good dose of the esoteric. This is a historical novel for lovers of the genre by an author with an excellent reputation. His previous novel, La máscara maya, sold 15,000 copies.